Altitude Luxury Travel is a specialist travel agency that tailors amazing Formula One experiences. 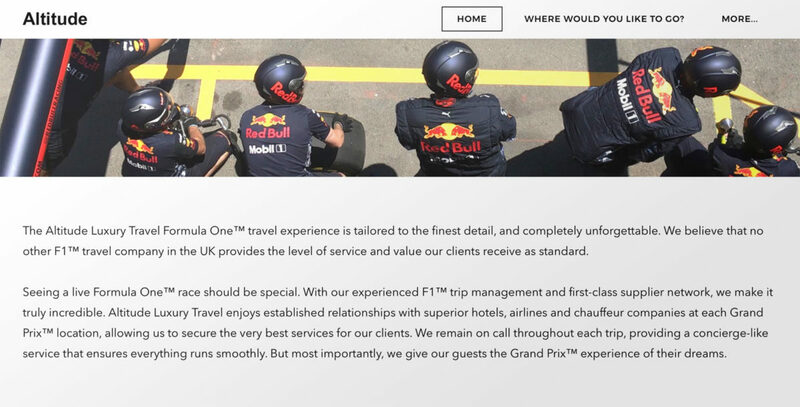 With its first-class supplier network and concierge-like service, Altitude makes Grand Prix trips unforgettable. The company asked us to write the copy for their new website, including core content and monthly marketing pieces. Take a look below.